When preparing and styling your home for sale, one of the most cost-effective makeovers you can undertake for better home presentation is painting. The aim is to refresh and remove bold and unsightly feature colours. Painting instantly freshens up the overall look and feel of your home. It can also help give your home a whole different character with the right choice of colour. Colour selection is a crucial decision, because choosing the right colour for the sale process is key to enabling buyers to feel they have nothing to do to the home. 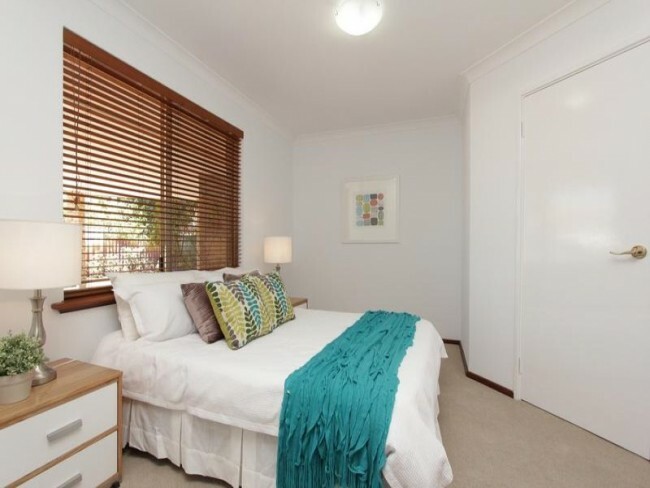 One of the most common mistakes that Spruce Ups has seen over the years of helping property owners prepare their homes for sale is that every homeowner thinks that their colours are perfect and can be left for the property styling and presentation. We are all in love with our colour choices, but these may not be right for the sale process. This client loved lots of colour in their home with every room a different colour from green, yellow, blue, brown and red. It was so overwhelming when you walked through. It also made it difficult to style with hire furniture options to match the colour walls. Best solution remove the colour. But while it is very easy to change clothes according to our moods, it is not so easy to change the colour of your home once it has been painted and your furniture and accessories once they have been put in place. Remember: when you paint and style your home for the buyer market, you want to appeal to the widest range of buyers, and not everyone is going to love your “bright red feature wall”. Just like colour tastes, the influence of colour on a person’s moods is very subjective. A lot of research has been done on the benefits and impact of colour on people’s moods and everyday lives. The general consensus is that warm colours like red, orange and yellow are energetic, uplifting and inviting; and cool colours like blue, green and lavender are calming, relaxing and refreshing. On the other hand, there are also findings that say warm colours can invoke feelings of hostility, stress and anger, while cool colours can bring on indifference, depression and lethargy. The right mixing and matching of colours can tone down some of these subjective feelings. To do this correctly, you must understand what colours complement each other to ensure you get the best results from your colour selection. What Colour Should You Paint Your Home? If you call up a painter to work on your house and ask, “What colour should I paint my house?” Most likely, the painter will recommend Dulux Hogs Bristle. The reason is because this colour is a very generic one, but even so, it may not look good in every home. We do recommend that you stick to modern but light and neutral tones when repainting your house for sale. This does not mean, however, that you should not use colour to liven up your rooms. Sterile and neutral environments can be some of the worst environments to live in and enter into. In some cases, they may invoke unpleasant memories, like a visit to the doctor, dentist, or a hospital. If you have a lot of different colours throughout your home – on the walls, ceilings, doors, curtains, blinds, carpets, etc. – you should work to get them minimised. The idea is to get the neutral colours to be the foil or background to show off the rooms in your home at their best. And the best way to do this is to keep the main wall colours warm, inviting yet neutral. At the same time, you also need to consider if the colour is suited to both the room and the house itself, given the other colours and furnishings around it. Neutral tones can still be property specific. This simply means that a colour may look good in one house but not in another. Make sure you select colour that is individually suited to your home. We recommend bringing colour in through the use of accessories such as vases, throws, artwork, cushions, and floor rugs. All of these can make a huge difference to the look and feel of your home. Colour is the icing on the cake when styling for property presentation. As we try to keep the base of the property neutral but warm and modern, you can add a splash of colour through the use of throw rugs, cushions, lamps, bedspreads, rugs, etc. Therefore, it is important as a seller to consider the buyer market and look at the tone of your home to get the right look and feel for property presentation for sale. 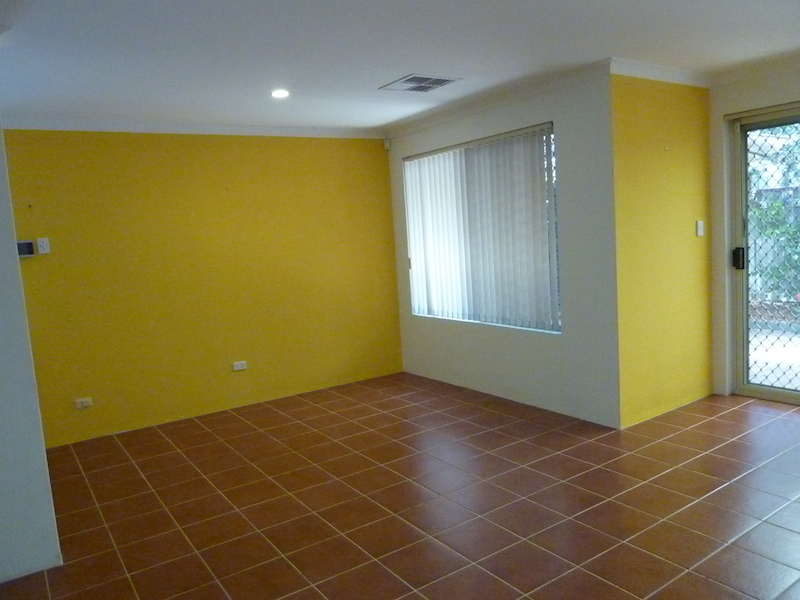 Using the wrong colour is very damaging to a property’s presentation. We are not saying you can’t use accent colours as part of the final makeover; however, we caution you to get professional advice to ensure you create the right look for your target buyer – this is always the end goal.